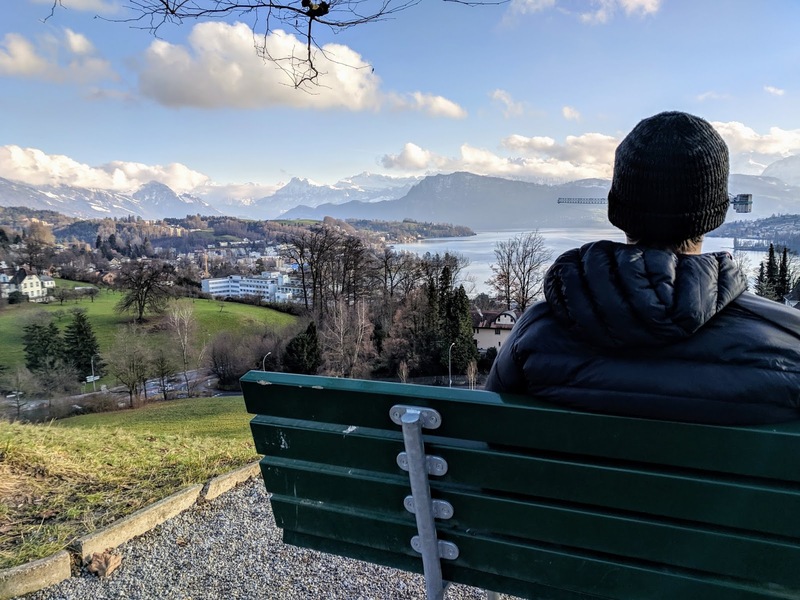 When we mentioned we would be visiting Switzerland to just about anyone before we got here, we were warned of how expensive it is. We planned ahead for this--though our budget is minuscule by most country's standards, let alone the most expensive country in Europe, it's possible to spend 3.5 weeks here without breaking the bank. 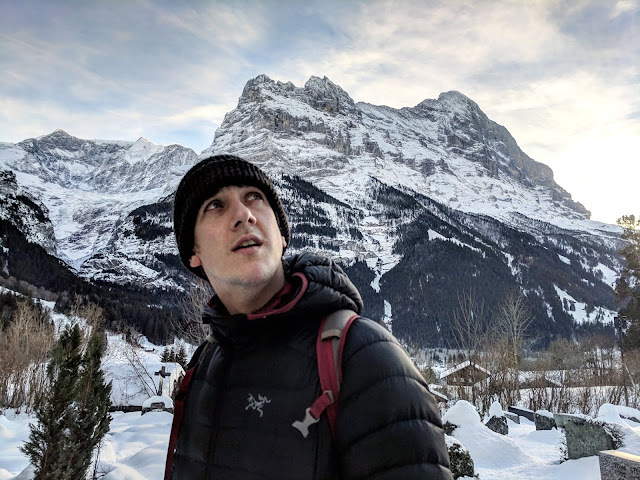 Our biggest strategy was utilizing Workaway, a fantastic way to budget travel long-term and experience cultural exchange if you're up for living with a foreign family and working for your keep and meals. (Everyone's been asking us how that's going--it's excellent--and I promise a post is in the works going into detail!) What this has done for us is, besides the awesome learning experience and chance to live on a little farm in the incredible mountains, is totally cover our basic needs day to day and free up our budget for day trips and adventures. Something we've learned about Switzerland is that the public transit system can get you anywhere you want to go. Arindam told us this was true, and we believed him, but now we really know. 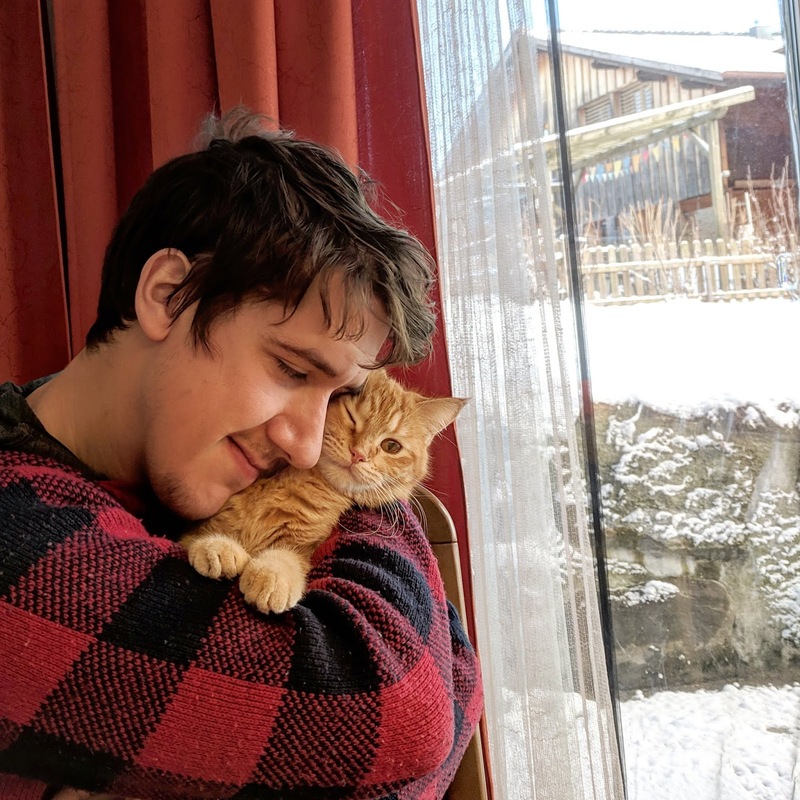 Our Workaway home is situated about 20 minutes outside of the city of Thun, up into the mountain-y hills, but we can walk 2 kilometers down the hill (a third of that walk is practically the farm's driveway) to a bus stop, and the bus takes us directly to a major train station in town. Another thing we've learned is pretty much everywhere in this country is beautiful and has something to offer. We haven't exactly done a typical tourist's route, but we've thoroughly enjoyed what we've seen so far, and in case you're considering a budget trip through Switzerland, here's what we did. As mentioned above, Thun is the city nearest our Workaway. 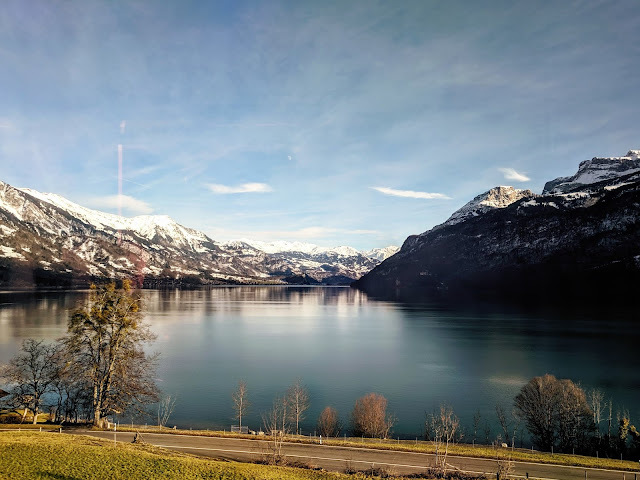 It is nestled right against Lake Thun where the river Aare runs out (the other end of the lake is Interlaken) and has spectacular views of Stockhorn. Over 40,000 people live in Thun and it has a long, rich history. 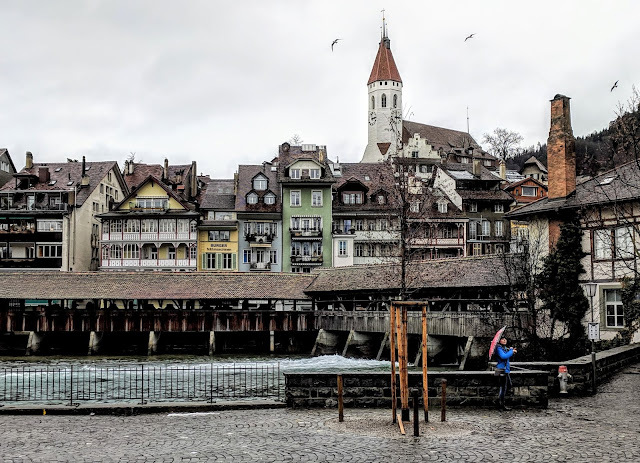 Old Thun, the neighborhood on the river, has lovely cobblestone streets, colorful Swiss buildings full of shopping and restaurants, and of course, Thun Castle. The castle has been around since the 12th century, and provides you excellent views (plus a museum). Be aware that nearly everything is closed on Sundays--this is true for pretty much all of Switzerland--but there's still plenty to enjoy just walking around. On our day trip to Thun, Andrew and I were lent our Workaway family's car. It was pouring down rain and foggy, but we are spoiled with views of the same surrounding mountains from the family's farm, so we weren't too bummed. We were able to park at the train station (you pay to park, but it was cheaper than San Francisco parking!) which is also mere steps from the river itself. 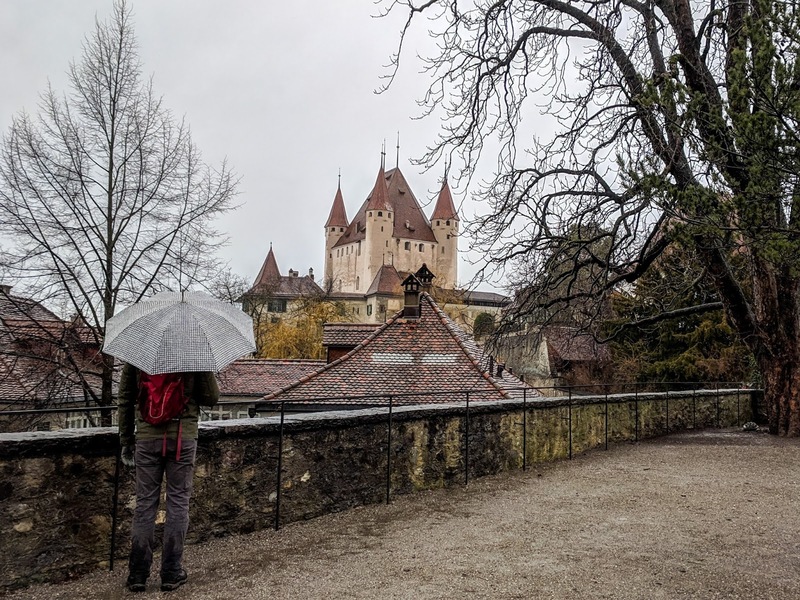 If you are looking to visit a classic Swiss town next to a lake, featuring a river, castles, and views of the alps, Thun hits all the marks and is far less tourist-y than Lucerne. Speaking of... two days after our visit to Thun, the weather cleared up significantly and our host family sent us off to enjoy it. They helped us get unlimited public transit passes that cost us $160 for two days and both of us, though these day passes are normally $75 per person per day. We used some of our saved credit card points to get a cheap hotel for one night, and off we went. We walked the 2 kilometers to the bus, took the bus to the Thun train station, and got on the first train to Bern. Bern is where we connected to our Luzern train, and the whole trip from the house to Luzern station was about 2.5 hours. Our hotel let us check in early so we could drop off our things, and then we explored. Our impression was that Luzern is a larger version of Thun. 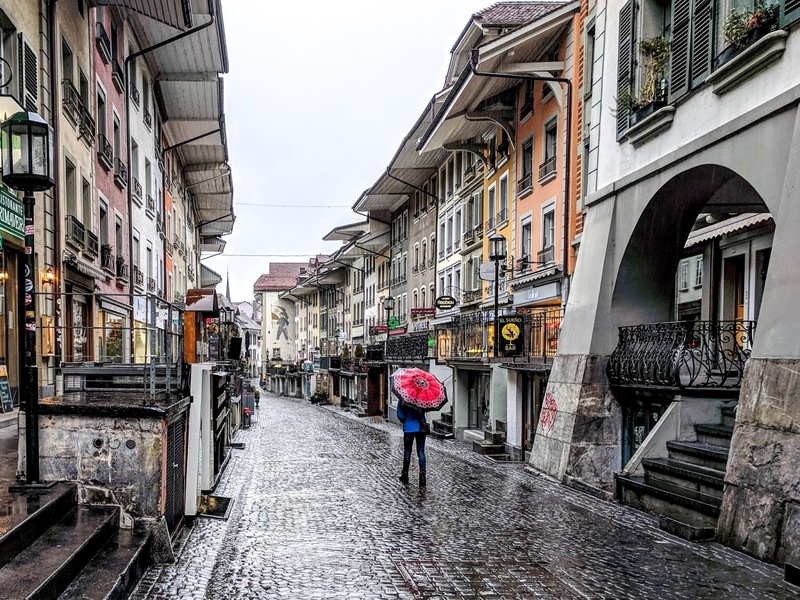 It is twice as populated and attracts a lot of tourists, sits against Lake Luzern and is surrounded by picturesque mountains. Less than a block from our hotel was the famous Chapel Bridge, a wooden bridge first built in the 14th century. We were tempted to take a boat tour on the lake, but opted instead to climb the hill in search of some views, and we were not disappointed. While we were visiting, the Lilu Light Festival was going on, and there were several features right in our neighborhood. We ate and drank cheap (expect to pay twice as many Swiss Francs as you would expect to pay at home in US dollars) but if you have room in your budget, there are tons of restaurants and bars to enjoy. 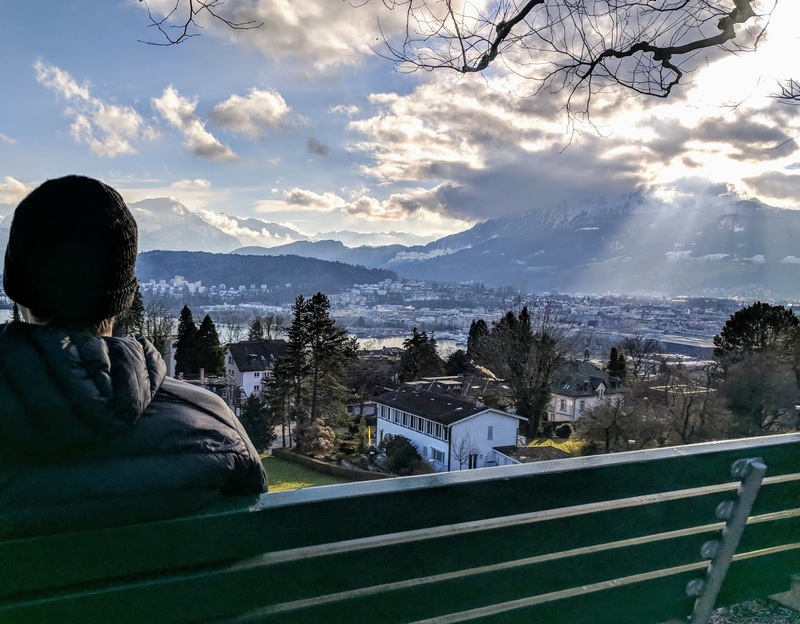 Interlaken is the city situated right between Lake Thun and Lake Brienz, and is also where you go to get to the Top of Europe. The lady at the Luzern tourist info desk told us not to worry about trying to see the town itself if we wanted a day trip, because it's such a tourist stop it doesn't feel "authentically Swiss," so we took her advice--however, our host family told us we couldn't miss the train ride through Interlaken which was technically bringing us home to Thun in a roundabout way. 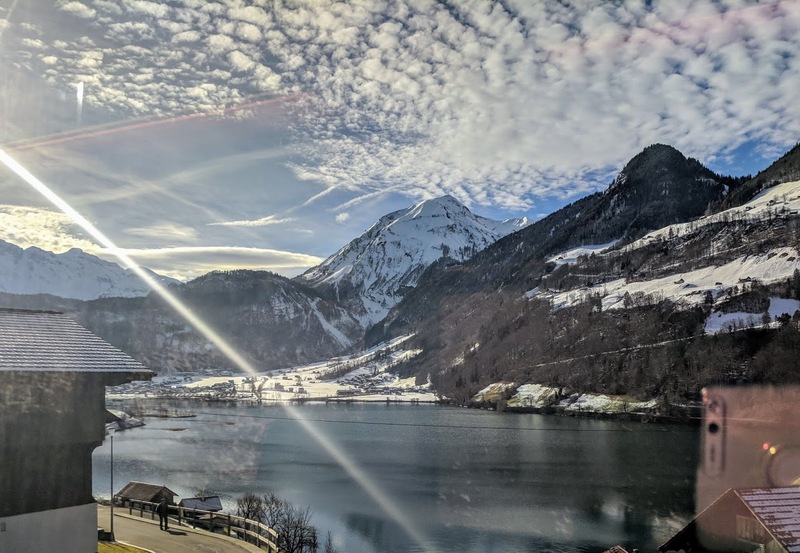 So we caught the train after our overnight in Luzern around midday, and I don't know how else to put it besides NO REGRETS. 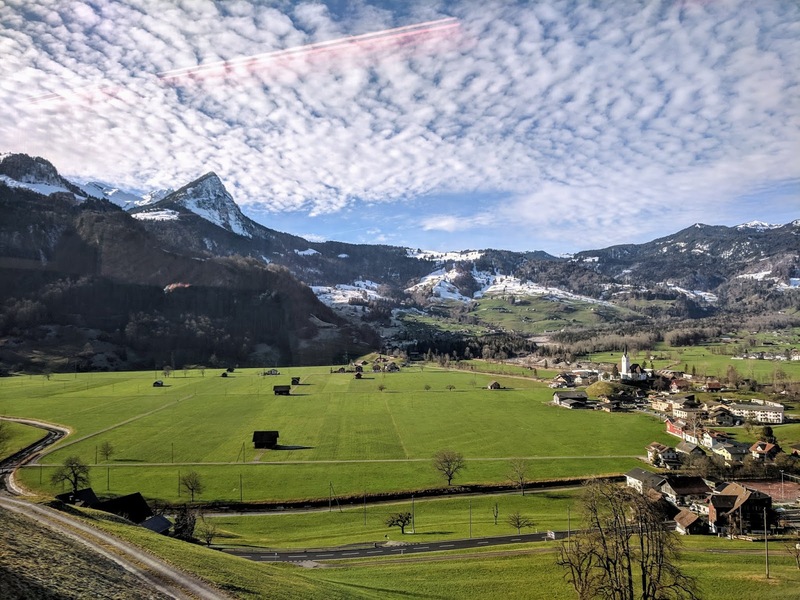 The Swiss Alps are obviously world-famous, and this train ride is a 1.5 hour winding adventure right into them. Every time we turned a corner, our mouths fell open in awe as a new wild mountain landscape came into view. We are so pleased we did this trip on a clear day. 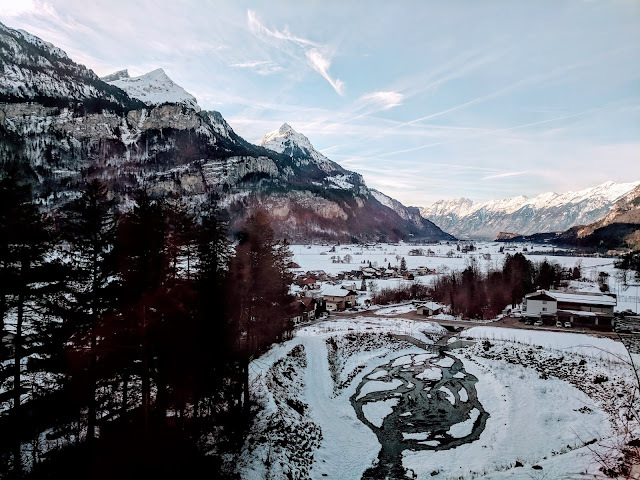 This route also stops in the tiny town of Meiringen, which is where you would want to get off to visit Reichenbach Falls (that's a tip for you Sherlock Holmes fans--I didn't know until it was too late and we didn't have time). Seriously though, if you aren't one to be out in the frigid cold and snow but want to soak in those alps, this train ride cannot be beat. Andrew and I will both openly admit that we decided to add this to our stops between Luzern and home because of the character in Harry Potter. (Nobody is surprised. We had a Harry Potter wedding.) After our short visit, we totally recommend it to everybody. 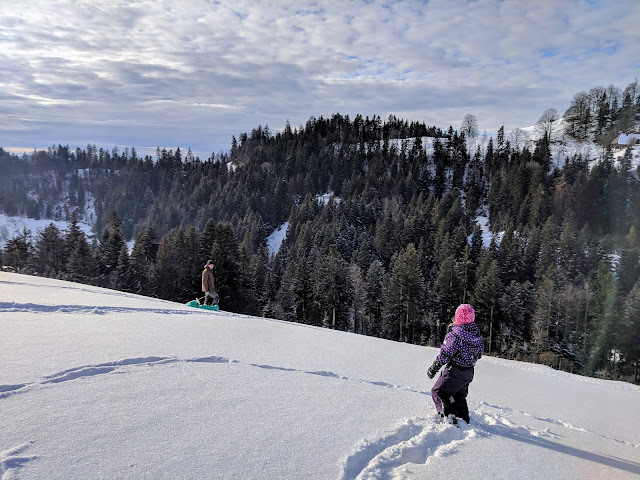 If you enjoy skiing or sledding and know how to plan ahead a little better than we do, definitely try to spend more than a couple of hours in this gorgeous town. We cannot speak for the price tags here, because we already had our transit passes and packed our own food, but the establishments looked very inviting, and we were tempted by all the outdoor bars meant for skiers to enjoy while still wearing all their ski gear. Oh, and the FREAKING MOUNTAINS. 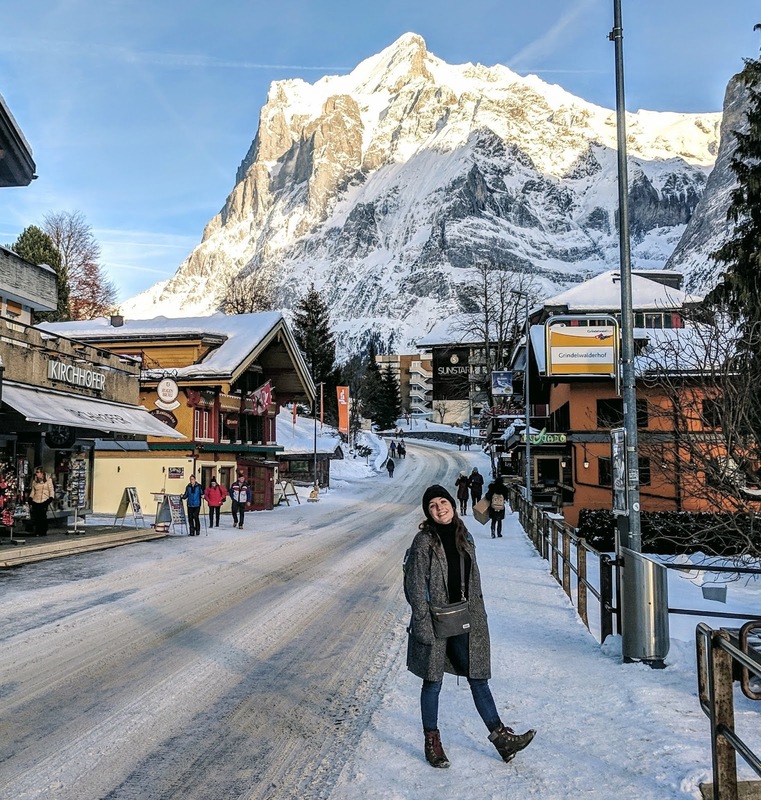 Several enormous peaks tower over the town of Grindelwald. There are several buses that run up and down the main street, shuttling skiers I'm sure, and the train seems to come to the station about once an hour, so it was extremely easy to get around this mountain town. (It's also only about a 20 minute walk from end to end.) Gellert Grindelwald could easily have some kind of secret evil wizard's lair somewhere in those massive, icy mountains, but the town itself is warm, charming, and inviting. On this very chilly morning during the last week of our time in Switzerland, we took an easy 20 minute train ride from Thun to Bern, which is the capitol of Switzerland. It's also a very, very old city. The whole canton is named after Bern, and we were very excited to make the connection that this is where Bernese Mountain Dogs get their name. Bern's symbol is the bear. A bear is featured on the canton's flag, and there is actually a bear park in the city itself. (Awesome.) We knew the bears were hibernating this time of year, but walked by the park anyway, and I can imagine it's excellent during the warmer months when the bears are out. Near the bear park was the pathway up to the rose garden, which sits above the city and provides excellent views. Again, during the dead of winter, the flowers were also hibernating, but it was worth the walk just for the sweet vantage point. 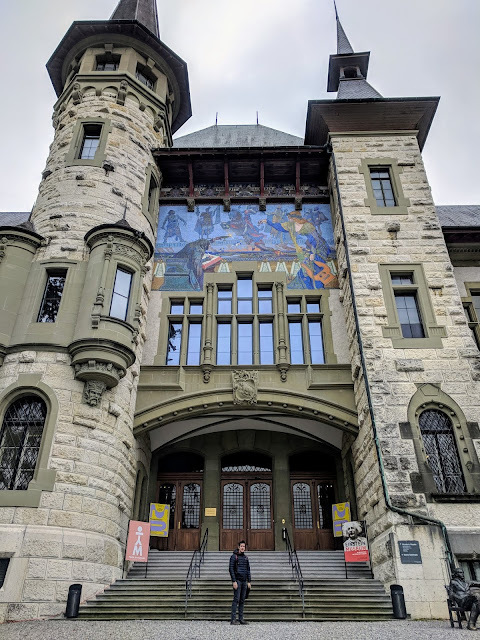 Another cool thing about Bern is that it's where Einstein developed his Theory of Relativity, and the city is very proud of that! We found several benches with Einstein statues on them, you can visit his old apartment, and there's an entire museum about his history. The museum is a castle, nbd. For our lunch, our Workaway host recommended we stop in a little place (that's literally underground, that's quite common) called Äss-Bar. (We chuckled at the name, and she reminded us the little dots on top of the "a" makes it a completely different word. We still think it is funny.) Äss-Bar is a small cafe that buys day-old bread and other foods from the local bakeries and cafes, and sells them for super cheap. The food is all still perfectly good, but not fresh enough to sell at full price. We each got a sandwich (the bread was a little stale in the crust, but still tasty! ), cup of coffee, and split a slice of apple pie for less than the price of a personal pizza down the street. The place was hoppin', too. Their motto is "Say no to food waste," which is a message we're happy to get behind. Other attractions in Bern include the old Münster, where you can pay 5 francs to climb the tower just like in Zürich. You can walk past the Parliament building, stroll across the oldest bridge, and take photos with the old prison tower and clock tower. There is tons of shopping, as well. One big perk of doing a Workaway is when you immerse yourself in another family, you usually get to be a part of whatever that family is up to. Our host has taken us along with her and the kids a few times, so we've gotten to see little pockets of Switzerland we wouldn't have otherwise. One of these trips was to Burgdorf. This was one of the smaller towns we've seen, which also means almost no English was spoken. The language barrier wasn't a problem at all, we were only there for a short time, and the word for "coffee" is "kaffee" so we were set. We spent some time in a quiet, almost-empty pub (drinking kaffee, it was too early for beer for us) and of course wandered around. The Burgdorf Castle--recently a prison, but now open to the public--was closed for renovation, but was cool to see from the outside. We were also brought along to a friend's farm in Emmental, a region of Switzerland famous for its cheese. This area was beautiful in a different way from the mountains--though you could see those way off in the distance--because of the woods and the rolling hills. Emmental houses are also distinctly styled. This family's farm was up on a hill, had about a foot and a half of snow, and was home to goats, cows, geese, and even peacocks. We went sledding with the kids for a while and snuggled with their enormous sheepdog. This is also where we were given a dish we've never heard of in the US: vermicelles. It's a classic European delicacy made with chestnuts, butter, sugar, and kirsch, and is pressed into noodles. It was served to us with meringues, ice cream, and whipped cream and was fantastic. 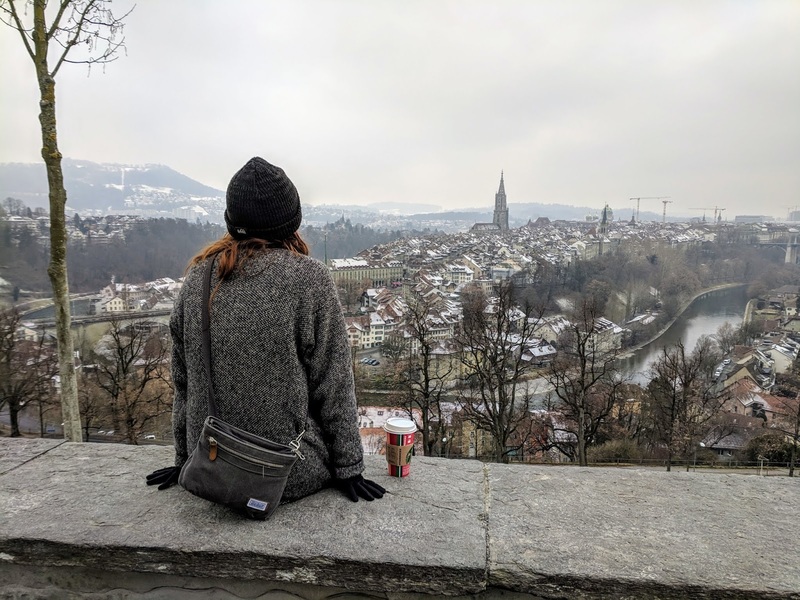 If we were regular tourists with a bit more cash and more limited time, we maybe would have toured Switzerland a little differently, but as it stands--three and a half weeks and almost no money--we are extremely pleased with how it panned out. After galavanting Zürich, our Workaway allowed us to take short trips thoughtfully and visit places we wouldn't have otherwise seen. Besides, you don't get a kitty like this at a hotel. Great photos guys! Amazing that you are taking such beautiful photos with your cell phones.